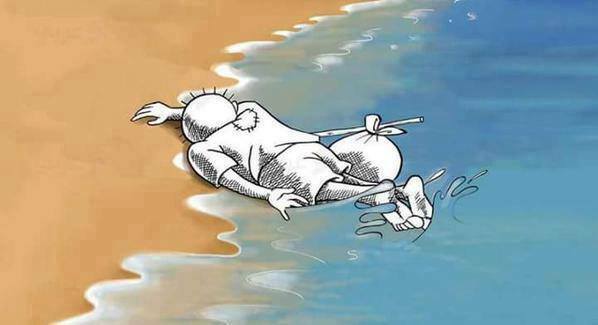 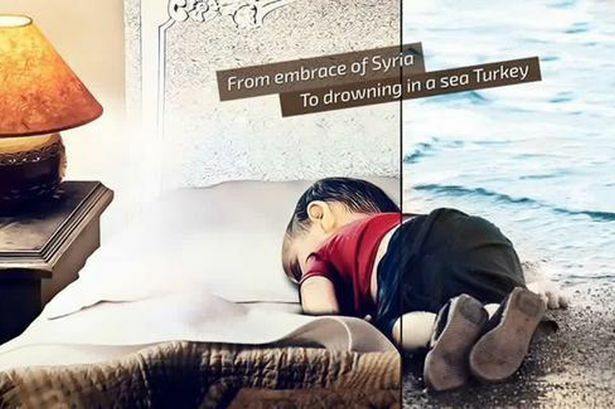 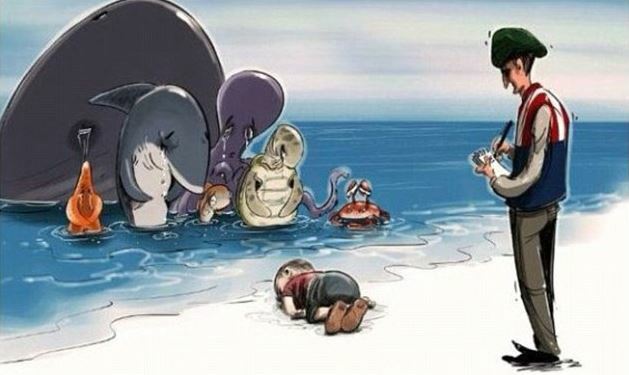 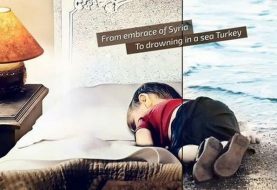 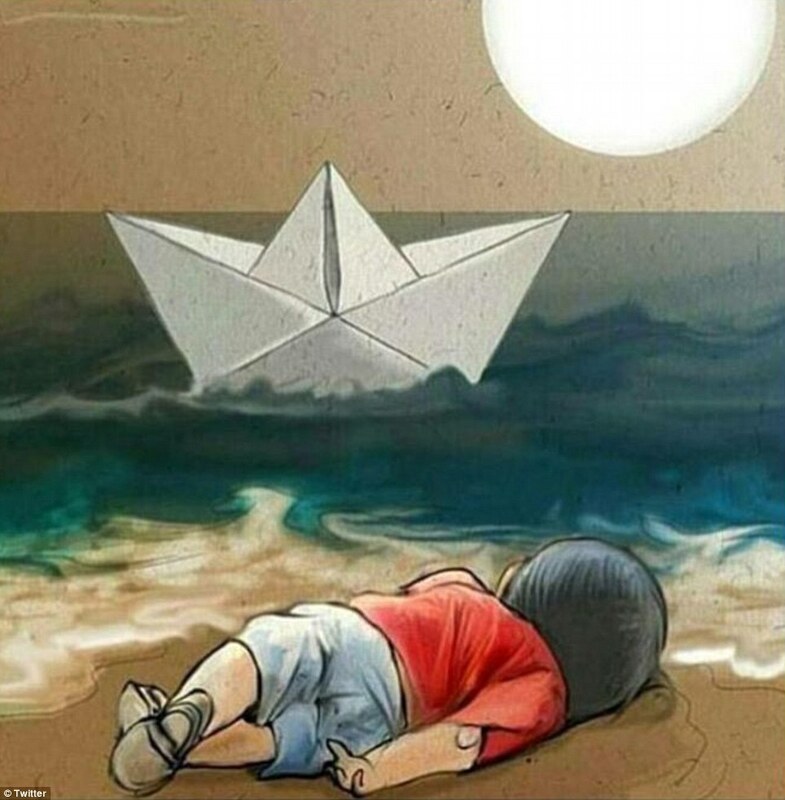 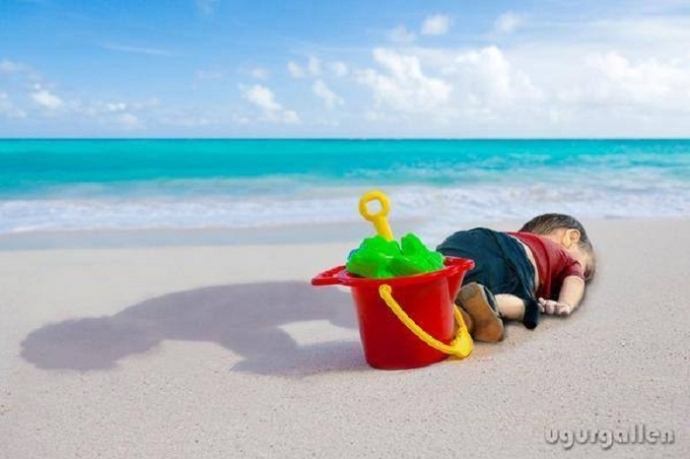 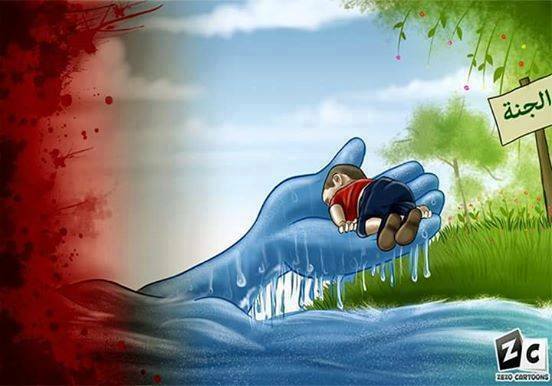 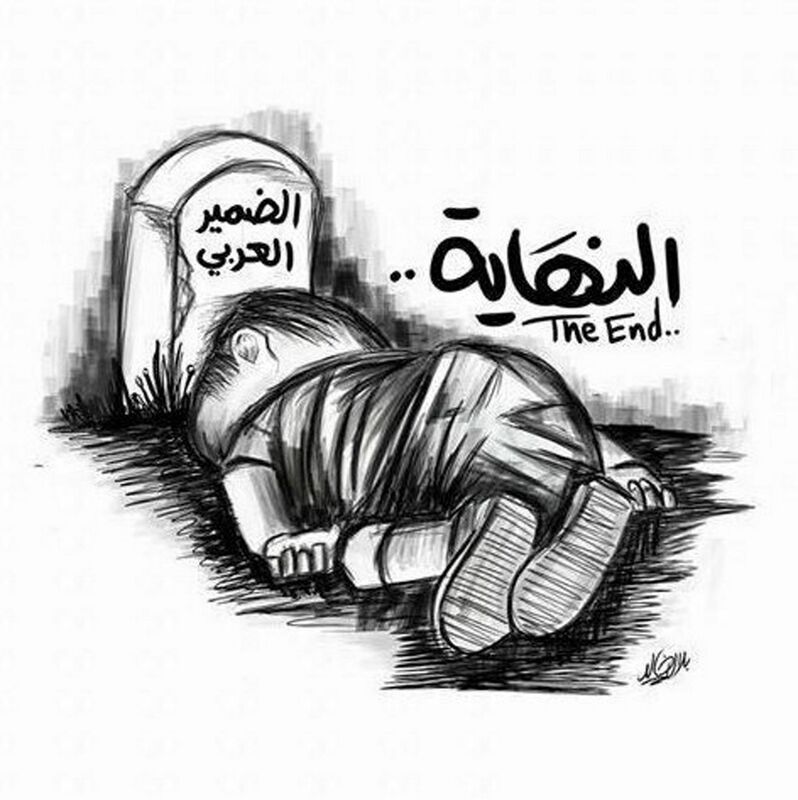 The image of a 3-year-old toddler faced down and dead on a beach in Turkey went viral on all media/social media platforms as the true horror of the refugee crisis hitting the Med and Europe was graphically brought home to the masses. 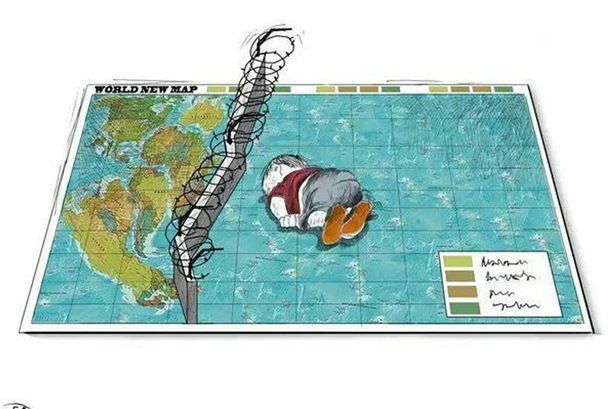 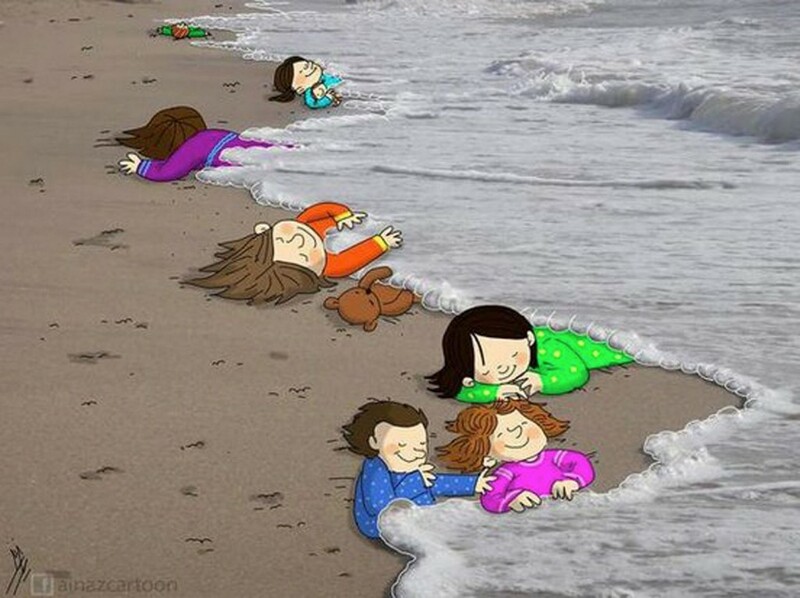 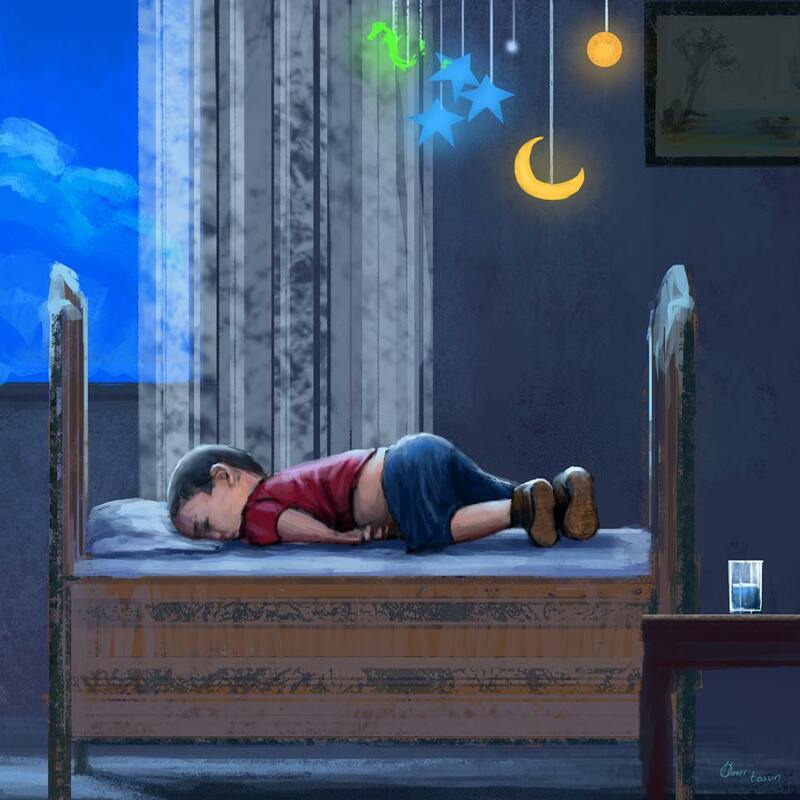 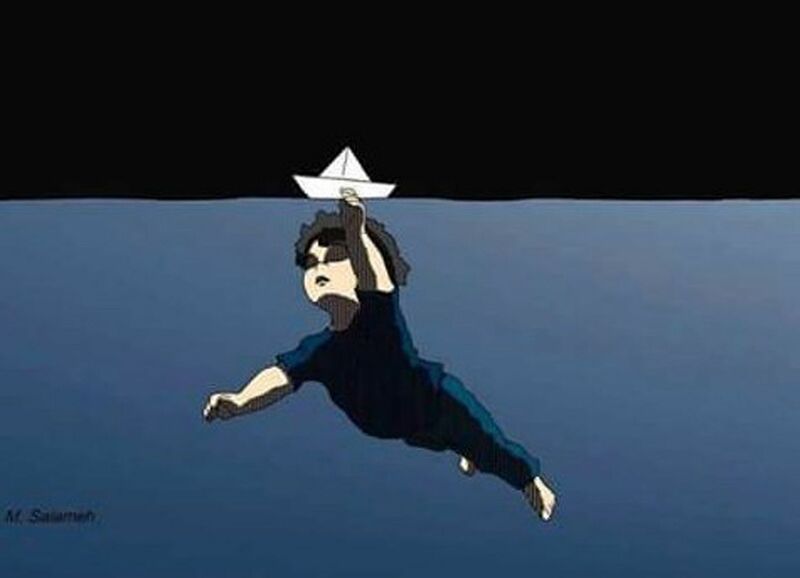 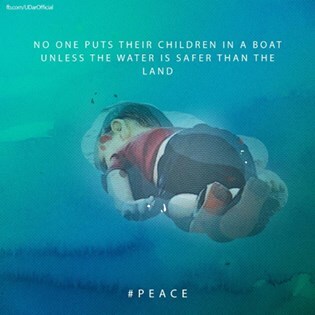 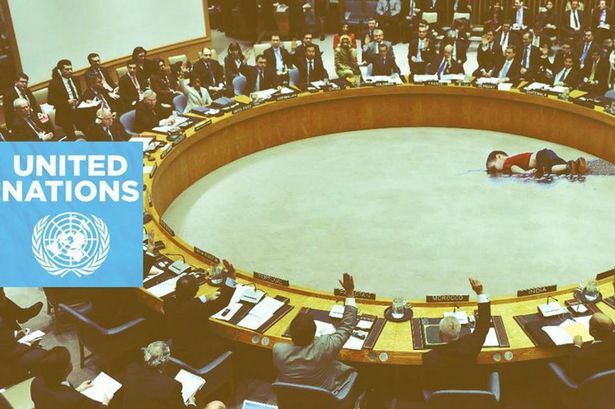 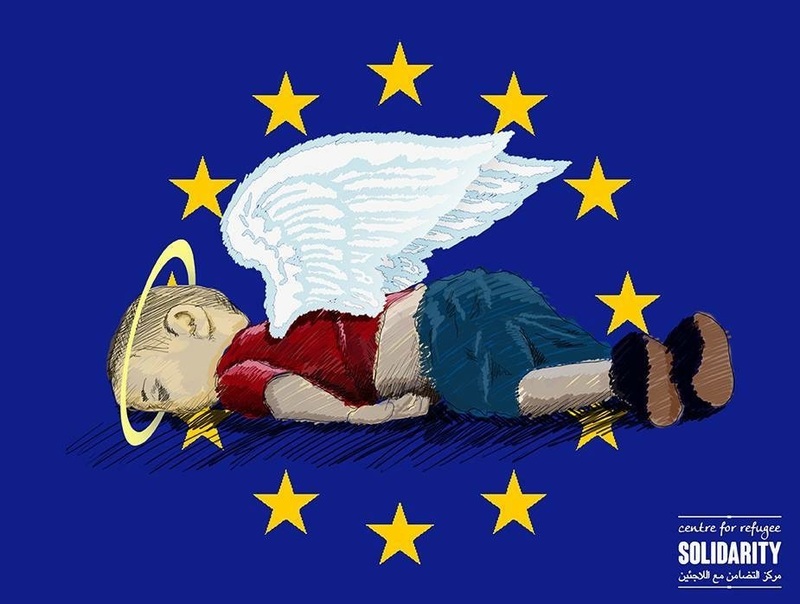 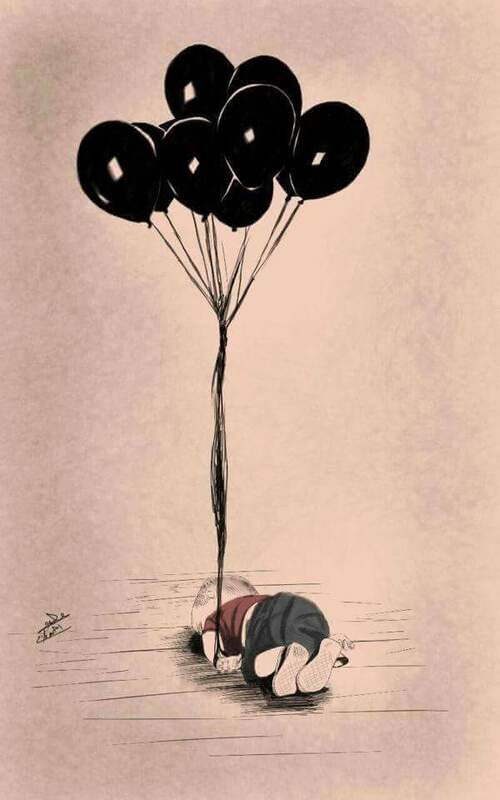 Little Aylan has prompted artists all over the globe to create powerful images depicting the toddler as an expression of solidarity and disgust for the way the world is responding to the crisis facing refugees such as Aylan and his family. 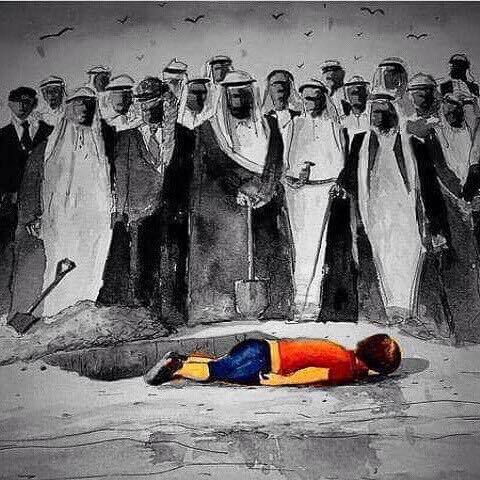 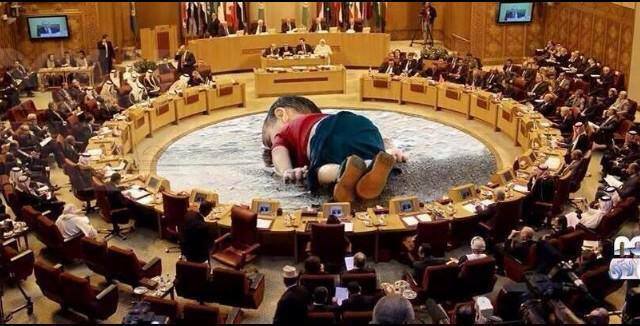 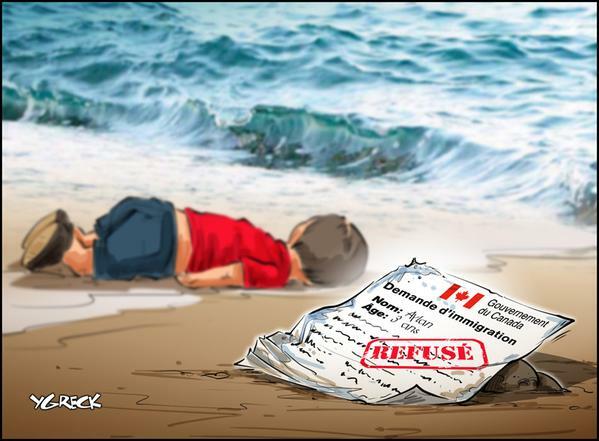 The images of Aylan have not only become symbolic of the refugees struggle, despair and hopelessness but also of the world’s inaction! 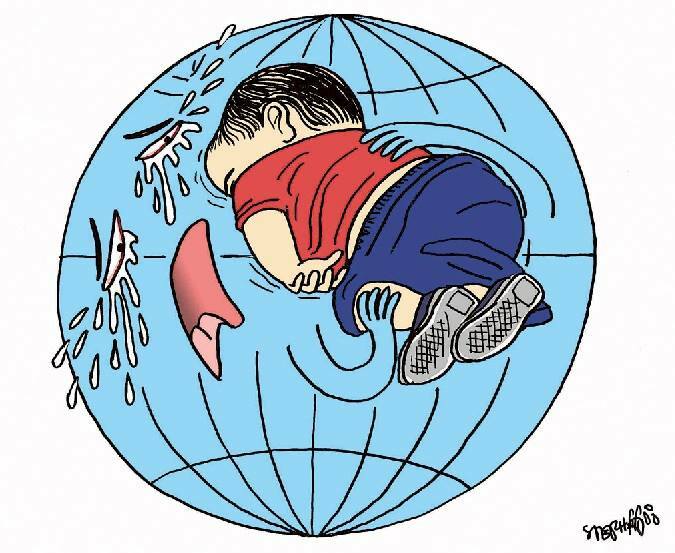 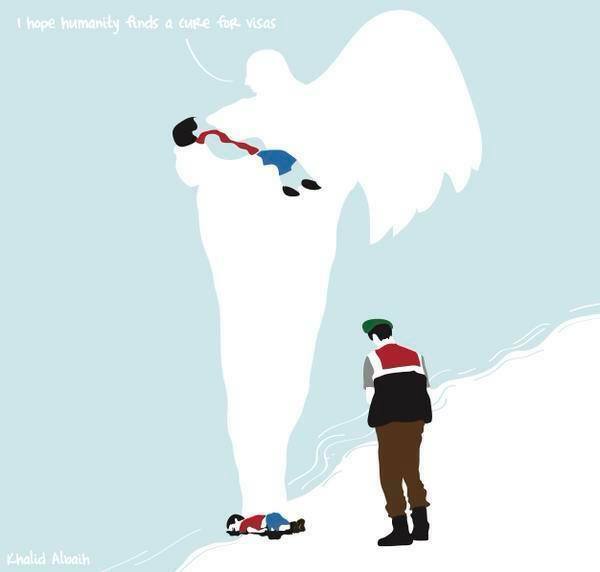 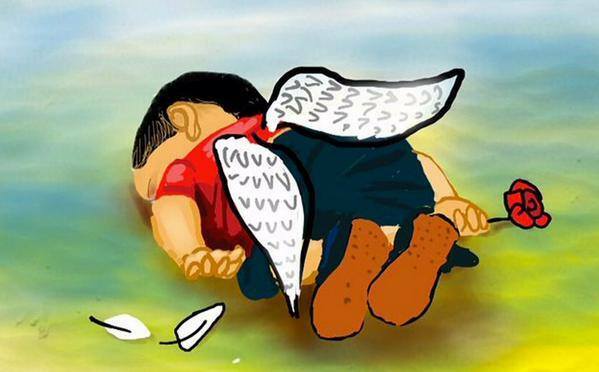 They continue to go viral as people who have observed from afar feel compelled to share the images as an expression of their own grief and helplessness at the loss of Aylan life. 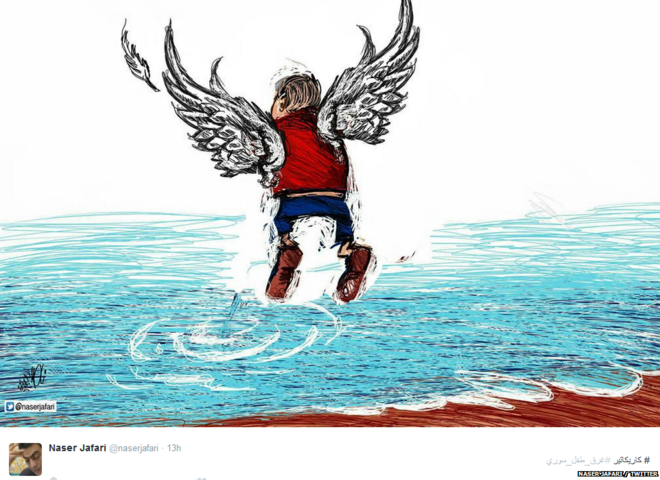 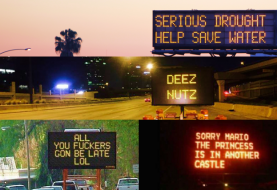 Here are some images taken from different sources showing how the people used their skills to say bye to Alyan.